Adesunmbo Adejokun was born in Zaria Kaduna State in northern Nigeria on January 27th 1959 to Adedeji Adeyemo Adejokun and Grace Abiola Adejokun (nee Babalola). She attended Baptist Day School Zaria from 1964 to 1969 and moved to Lagos in 1969 for a brief period. From 1970 to 1974 she attended Oshogbo Girls High School, Oshogbo, Osun State, Nigeria. Upon completing her secondary education, she worked for two years at Nigerian Railways Corporation in Lagos and later migrated to the United State to further her education. Adesunmbo completed her Associate and Bachelors degrees in Accounting at Richland College and Amber University in Texas. She built her experiences by working for several accounting firm and opened her own accounting firm (Ditel Accounting and Mortgage Company). She was a gifted decorator and along side her accounting firm, she ran "Exclusively Sunmbo" A flower and decoration business. Despite having had her own share of disadvantages earlier in life (was disabled from Polio disease) and other disappointments, she lived a fulfilled and selfless life, caring, sacrificing, helping others and doing whatever it took to put a smile on a childs face. Adesunmbo was an outspoken and loving person, her love and loyalty for her family and friends was never in doubt. 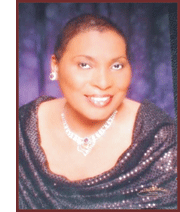 As a member of the First Baptist Church, Mesquite, she was a member of Lady faith class, a Sunday school teacher for children, a member of the choir and the finance committee. Adesunmbo was survived by her parents, brothers, sisters, nieces, nephews and cousins as well as wonderful friends. She will greatly be missed. Finally, Adesunmbo was so impressed, moved and touched with the treatment, care and love she was given as a cancer patient. She vowed to support the research, awareness and treatment into curable illnesses in life and in death. 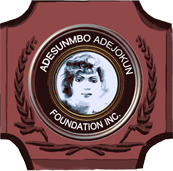 As a result of her total dedication to humanity and quality of life, we are fulfilling her last wish by launching The Adesunmbo Adejokun Foundation, Incorporation on May 23rd 2009. Yesterday is gone, its only a distant memory, we live today and the future is yet unknown, but through this foundation many who are struggling with inadequate knowledge of the effects of this illness or those whom have not been aware of the dangers of such diseases will be able to connect with pride at Adesunmbos foundation as a support link. Copyright © 2009-2011 Adesunmbo Adejokun Foundation Inc.